The holiday season is approaching. What can be more gratifying than creating happiness! That’s exactly what we have in mind for you as well. It’s a great feeling to talk to customers and deliver amazing service. Phone is by far the most convenient way for customers to ask for and receive help. But, it’s usually a logistics nightmare to build and maintain scalable PBX infrastructure, especially if you’re a small business. We’ve been through it at Zoho and, ever since, we’ve wanted to drastically simplify it. That’s exactly what we announced last week. Telephony re-imagined for the cloud. 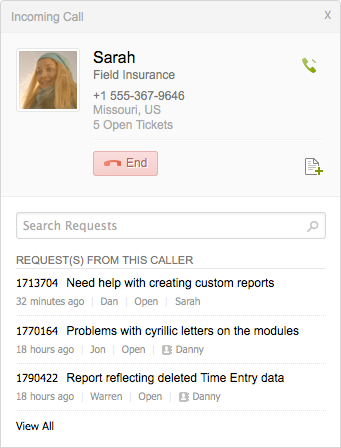 Cloud Telephony for Zoho Support brings a fully-functional call centre right within your browser tab. It has all the traditional goodies: Call routing, sequential & simultaneous ringing, IVR, call recording, voice messages and detailed reports. BUT, you get all of that without the pain of maintaining a full-blown telephony system. We’ve partnered with the team at Twilio to bring this incredibly simple solution to you. It’s available to customers on the Professional plan, with some restrictions, and to those on the Enterprise plan. We know how important it is for you to spend time with your family, especially during the holiday season. But, if you’re a customer service agent, holiday season is the time you’ll have maximum people to attend to. Both of these are high priority and both of them are close to the heart. The solution, we believe, it to take a great customer service app and add mobility to it. And, that’s exactly what we’ve done. Be awesome at home, win family love. Be awesome at work, win customer love. This holiday season, let there be even more happiness in every ticket. I’ve read all the info about zoho cloud-telephony but I still can’t figure out how it works exaclty. Administration, invoicing and design are 3 departments on 3 different locations in different countries. Customer support is provided by all 3, depending on the time and/or type of inquiry. We have sales people on the road. Any question about sales gets forwarded to our sales manager, who in return will forward it to the right person in his team. Today we are forwarding and double-forwarding emails. Manually replying customer requests and forwarding their answers to the right person. Since I’m the founder of the company and most of our customers know me personally, they ALL call me on my cellphone. 1. Customers must be able to reach us on a local number, in their own country. 2. They must be greeted by an IVR system in their own language. Not with a robot voice, but with a live, friendly voice. 3. Now they can choose what department they need. 4. Based upon their choise, they are forwarded to the right person. Even if that person is in another country. 5. Our colleagues must be able to identify the source-number so they can great the customer properly. From what I learn from the info from zoho, this voice solution can only work when my co-workers are in front of their desk, with the browser window active. And that’s not the case most of the time. 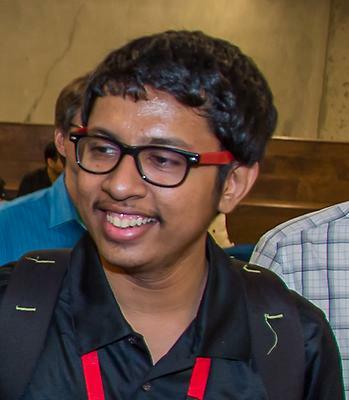 Ashique,The Android app will be available pretty soon. 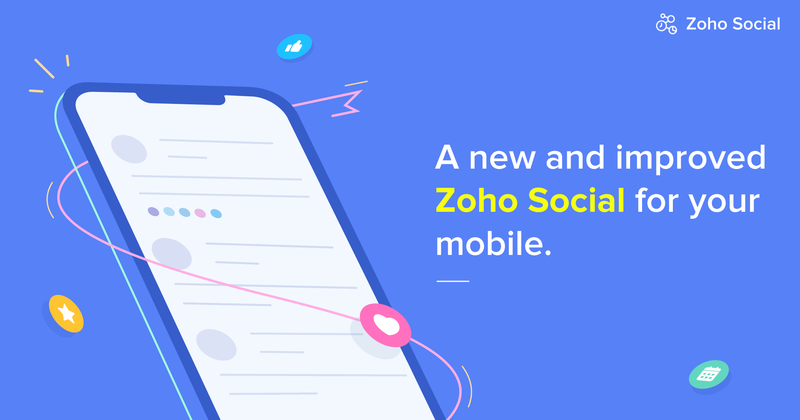 You can leave your email address here: https://www.zoho.com/support/mobile/ We’ll notify you when it’s available. when is the andriod version coming along? Not everyone likes to have apple!!!! Hugh,Yes, hold music is on our roadmap. In fact, it’s on top of our bucket-list of improvements planned for the second iteration! As for using an existing phone number, you’ll have to port it to Twilio (just like you port a phone number to another connection provider). More information on that here: https://www.twilio.com/help/faq/phone-numbers/i-already-have-a-phone-number-i-love-can-i-port-it-to-twilio Feel free to write to us if you need any more information! Nabs,The Android app will be available pretty soon. Do leave your email address with us on the landing page. We’ll let you know when it’s available! hold music would be fantastic. is that on your roadmap? Can you use an existing phone #? When will the Android app be available? 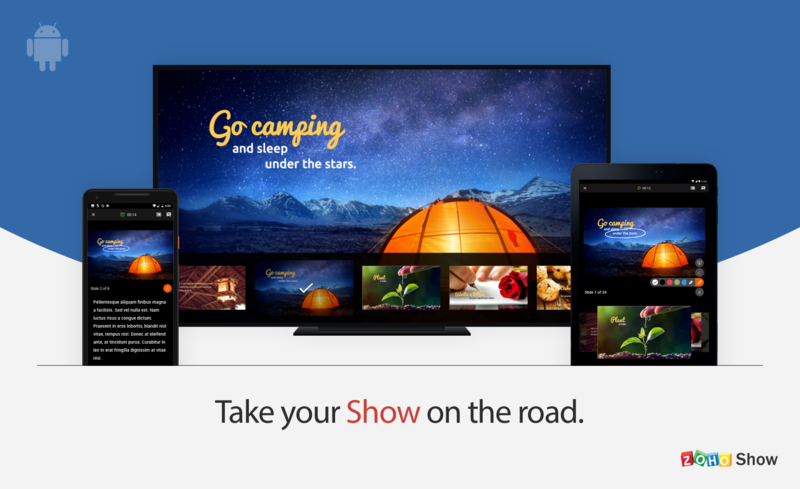 Deliver presentations anywhere with Show for Android.